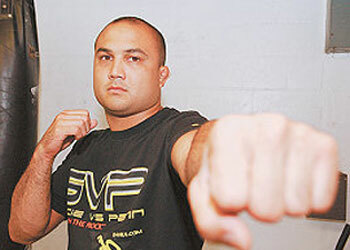 Although his sights are squarely set on lightweight top contender Kenny Florian’s dome, UFC champ BJ Penn is trying to move forward, however can’t stop looking in his rear-view mirror. Kizer is the NSAC’s Executive Director who oversaw Penn’s complaint to the Commission regarding his controversial UFC 94 loss to welterweight king Georges St-Pierre. As we all know by know, Penn and his camp are claiming that GSP and Co. intentionally rubbed the French-Candaian down with Vaseline to gain a grappling advantage in their highly anticipated rematch. Penn presented his case in front of the Commission in March, however the issue seemed to casually get swept under the rug. This enraged Penn to no end, and rightfully so. He feels that he was cheated and wants vindication, although he isn’t using that as motivation for his next scrap. Contrary to what Penn believes, the UFC and the NSAC seem content on letting the UFC 94 issue die. Everyone seems to have moved on and Penn better do the same because Florian is no joke. This 5Round affair will be headlining UFC 101 in Philadelphia, Pennsylvania on August 8th.